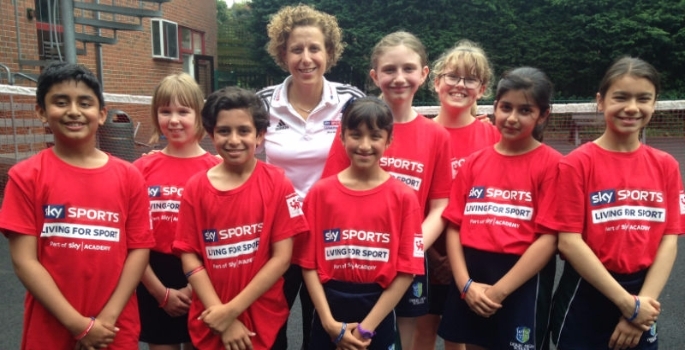 Olympic athlete Maria Bertelli recently visited Derby High School’s primary department, as part of the Sky Sports Living for Sport programme which sees athlete mentors visit schools to teach pupils about the six keys to success. These are mental toughness, hunger to achieve, people skills, sports and life knowledge, breaking barriers and planning for success. 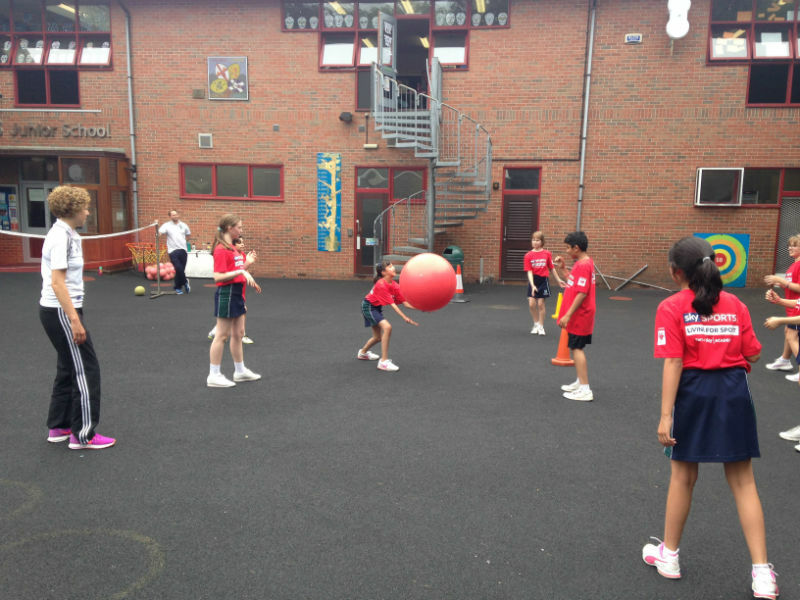 Maria competed for the Great Britain volleyball team at the 2012 Olympics and is also a former footballer. Following Maria’s initial visit, eight pupils in year six took it in turns to run a club for younger pupils in the school. Maria then returned to hear the pupils present an assembly and talk to them about what they had been doing in school. She said: “Initially I talked to the pupils about what they liked to do and what they needed to practise and when I came back in I listened to their presentation in assembly which was amazing. “I did some more work with them around the six keys to success which can relate to school and home life and we also identified what they thought their strengths and weaknesses were.